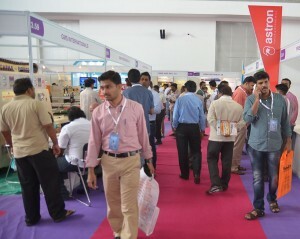 PackPlus South & CorruPack 2013 concluded successfully on 8 July at HITEX, Hyderabad recording a footfall of 7734 visitors. The four day packaging, processing & supply chain event featuring 250+ exhibitors served as a launch pad for 50+ new products and demonstrated 100+ running machines. Leading companies like IMA-PG India Private Limited, Ishida India Pvt. Ltd., Hilda Automation, Delta India Electronics, Dalmec Industrial Manipulators India (P) Ltd., Camozzi India, MGM-VARVEL Power Transmission (P) Ltd., Pragati Pack India (P) Ltd., Gujarat Machinery (P) Ltd., Bosetec (India), Videojet Technologies (India) (P) Ltd., Condot Systems (P) Ltd., Uflex Limited, Electronics Devices Worldwide (P) Ltd. and Baumer India (P) Ltd. chose the PackPlus South platform to meet new customers and create new business opportunities. “We launched our all new Track & Trace machine at the exhibition. Hyderabad is a strong market for us and we have a large customer base here. Being a part of PackPlus South helps us reach them in more effective manner,” said Anand Kulkarni, Director- Sales, IMA-PG India Private Limited. 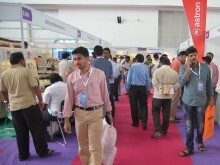 The Bulk Pack segment of the Show featured leading companies like Lohia Corp. Ltd., Nilkamal Ltd., Starlinger & Co. Gesellschaft M.B.H, Gujarat Machinery Pvt. 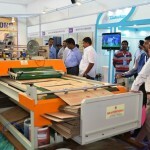 Ltd., J P Extrusiontech Ltd. and Gabbar Engineering Co.
“We displayed woven sacks manufacturing machine at the Show. Following good response we had received at the last edition of PackPlus South, we participated this year and have done even better in terms of creating new business networks. There is lot of opportunities in the Southern market and PackPlus South gives us a platform to identify them and use them for our benefit,” said Suman K Guharoy, Managing Director, Gujarat Machinery Pvt. Ltd.
Organised in association with Andhra Pradesh Corrugated Box Manufacturers’ Association (APCMA), CorruPack presented latest products and solutions from Friends Engineering Corporation, EMBA Machinery AB, Precision Machinery, Nagpal Packaging Machinery (P) Ltd., Acme Machinery Company (P) Ltd., GMS Internationals, Senior Print Pack Machinery Company, Flotech Machineries (P) Ltd., Micro Engineers (India), Omega Squarmatic Systems (P) Ltd. and Printpack Engineers. “We introduced side flap gluing machine at the Show, which is used to paste the sides of the corrugated boxes. The capacity of the machine is 800 boxes per hour. 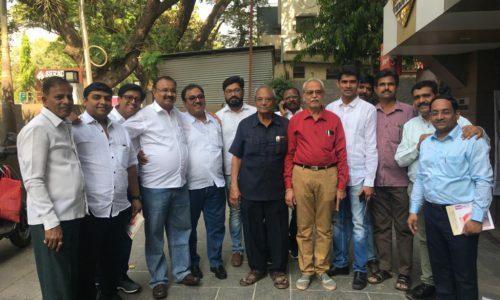 Targeting the Southern market, we exhibited at CorruPack and have received lot of serious enquiries,” informed Satpal Bhurjee from Packlink Industries. “The exhibition was undoubtedly excellent in terms of the versatile packaging products it displayed on one single platform. 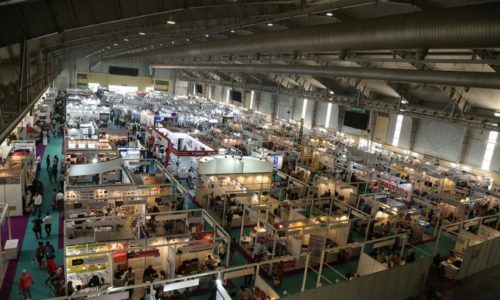 I believe all packaging material suppliers who look for new innovations in packaging should attend this type of exhibition,” said Dhananjay M. Chaudhari, Asst. Manager – Packaging Development, Gland Pharma Ltd., a visitor to the Show. As Day 1 was picking up at PackPlus South on 5 July, the PackAge Conclave opened at the close by venue- HICC, Novotel with 100+ delegates. Focused on its theme- Visualising Packaging Needs for the Coming Decade, the Conclave initiated interactive sessions on latest trends and opportunities in food and pharma packaging. “The conclave was very informative with lot of interesting concepts like track & trace and sustainability solutions being discussed at length. Topics like biodegradable PVC were very new to me and added a lot to my understanding of the industry,” said Hitesh Shenoy, Head Technical Packaging- India, China & APMEA, Consumer Healthcare Supply Chain, GlaxoSmithKline Consumer Healthcare, who delivered the keynote address at PackAge Conclave. 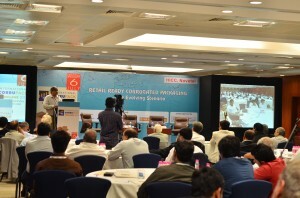 On Day 2, the International CorruPack Conclave, held at same venue attracted 150+ delegates. “There is a tremendous opportunity in the field of Corrugated Packaging in India. It has been a pleasure to be a part of the CorruPack Conclave, which focused on the different aspects of this industry. This is my first visit to India and I look forward to more of such events from the organizers,” said Carl Bohm, President, International Corrugated Case Association, who had arrived all the way from US to share his insight on- Retail Ready Corrugated Packaging. “The event has been very informative in terms of the industry prospects, upcoming trends and required necessary measures. 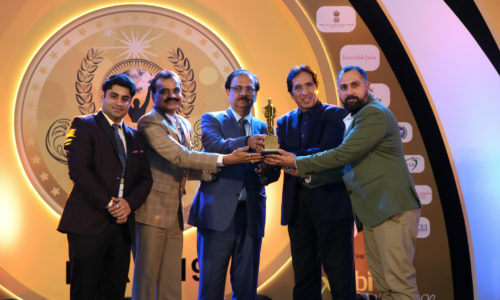 The international speakers gave an insight into the packaging market and India’s role in the global economy, which helped us understand the opportunities we can look forward to,” said Sudeep Chandra, Class Packaging, an attendee of the Conclave. With the South edition closing on a positive note, the PackPlus team gears up for PackPlus 2013, scheduled from 6-9 October at India Expo Centre, Greater Noida, New Delhi (NCR).